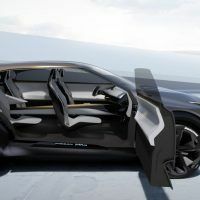 The IMQ concept is Nissan’s vision for the future of transportation. The concept’s styling and design is inspired by Japanese kumiko woodwork. Invisible-to-Visible (I2V) technology is one of the IMQ concept’s top safety features. Nissan is riding high on the success of the Nissan Leaf. We give credit when it’s due, so kudos to Nissan for being one of the EV pioneers in the industry. 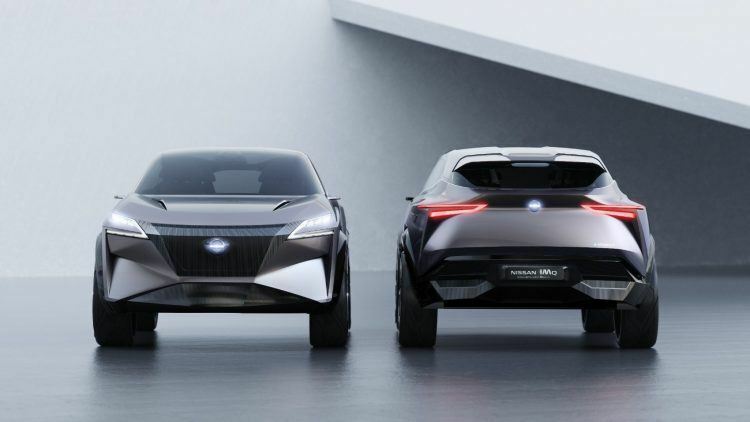 And while the Nissan IMx and IMS electric vehicles are still fresh in the minds of Nissan lovers alike, the Japanese car maker is singing a different tune with the IMQ concept hybrid crossover. Yes, it’s a hybrid. And a pretty one at that. 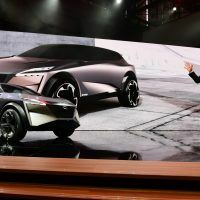 The Nissan IMQ concept made quite an impression during the 2019 Geneva International Motor Show. 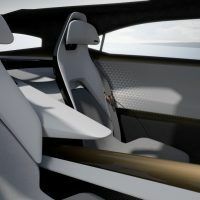 Because unlike other concept vehicles with ridiculous features and polarizing designs, the IMQ concept feels – for lack of a better word – closer to reality. Now, we all know how concepts turn from good to not-so-good when the production version hits the shelves, so it’s better to calm your appetite until we get to the juicy parts. But if by some stroke of magic Nissan infuses the design cues of the IMQ in the production model, then I’m all in. From the looks of it, it seems the future of hybrid crossovers is in good hands. Nissan IMQ concept. Photo: Nissan Motor Co., Ltd.
Related: Connecting your literal brain to the Nissan IMx KURO concept. This is where it gets interesting. 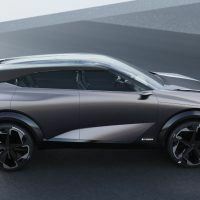 Where the Nissan IMx crossover and IMS sedan carry the familiar V-motion grille, the IMQ Concept is brandishing a different face; and it’s all for the better. I find nothing wrong with the front face of the IMx and IMS, but the IMQ Concept is the most desirable among the three. And it has to be. The IMQ Concept marks a bold new direction in Nissan’s design language. The new V-motion grille is more subtle and blends vertically into the sharper hood. It also wraps in the front bumper horizontally, creating outer edges similar to what you see in the F-117A Nighthawk stealth attack fighter. 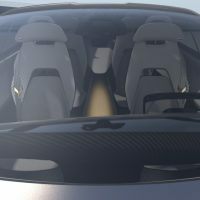 The windshield wraps around the body with ultra-thin A-pillars and no B-pillars, which necessitates the use of rear suicide doors. On some angles, the Nissan IMQ looks like the lovechild of a Nissan GT-R and Lexus RX Hybrid. From the rear, it manages to resemble the BMW X6, but in a better way. There’s a vertical character line that drops from the “boomerang” light clusters to literally split the air as it passes down the side. This not only improves aerodynamic performance, but it gives the crossover the gait of a much sportier vehicle. See those darkened lower sections in the body? Those are detailed layers called “lamellas” and are splattered all over the exterior. Not sure if this feature makes it to production, but it shows the traditional Japanese side of Nissan. Three-dimensional ridges on the darkened lower sections, known as “lamellas,” signify traditional Japanese design. Photo: Nissan Motor Co., Ltd. 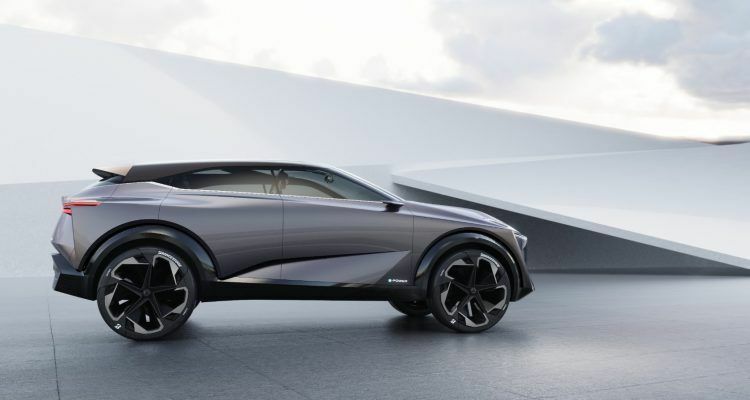 The Nissan IMQ concept may be a hybrid, but it’s a different breed of hybrid. For one thing, it comes with Nissan’s next-generation e-POWER electric motor drive system. 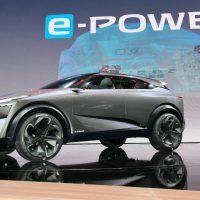 Now we can nerd on this tech all day, but I’ll make it simple: e-POWER allows you to experience the sensation of driving an EV without worrying about charging the damn thing. The vehicle comes with four electric motors at each wheel. Nissan claims a combined output of 335 horsepower and 516 lb-ft. of torque. 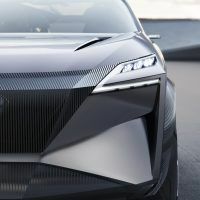 It also comes with a 1.5-liter turbocharged gasoline mill to charge the battery pack, although why you’ll need a turbo for this purpose is beyond me – maybe to “super-charge” or “turbo-charge” the charging, perhaps? And since all four wheels have their respective motors, the power is channeled directly to a new multi-motor all-wheel drive system. This allows the IMQ concept to deliver precise and independent control of each wheel. This means conquering snowy, rocky, or rougher patches of tarmac; because nobody said you can’t go off-roading in a hybrid. The upcoming Jeep Renegade and Compass plug-in hybrids are proof of that. Of course, no concept SUV is complete without a set of evocative 22-inch alloy wheels and smart tires. 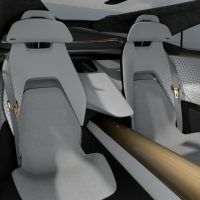 If the Imagine by Kia Concept came with Goodyear Intelligrip EV concept tires, the Nissan IMQ makes do with bespoke Bridgestone Connect tires. The rollers transmit data to the vehicle ECU to precisely calibrate the performance of the vehicle. Cool stuff, but I’m wondering how much it costs to fix a puncture in these tires? Each seat is finished in a two-tone 3D technical fabric inspired by Japanese kumiko woodwork. The pattern is replicated on the instrument panel, door trim, parcel shelf, and on the seat back’s metallic finish. Photo: Nissan Motor Co., Ltd. If the exterior emanates a high-tech presence, wait until you get inside. The controls and displays are clearly oriented toward the driver. It has a humongous 33-inch digital display (take that, Tesla!) along with a secondary screen above the center console. Even the steering wheel is not spared from the modern touch. Just look at that thing. It’s like piloting the Millennium Falcon in there, which 40-year-old kids will surely appreciate. But the biggest tech showcase in the Nissan IMQ concept is not the outrageously huge display or the funky tiller. The distinction belongs to Nissan’s Invisible-to-Visible (I2V) Technology. It merges the real world with the virtual one. It allows the driver to see through buildings, obstacles, and larger objects. This helps you see better around corners and intersections to prevent and reduce accidents. Again, we can salivate like geeks, because this is space-age tech. Nissan’s innovative safety feature utilizes Omni-Sensing technology to collect “real-world sensing information,” both inside and outside the cabin. 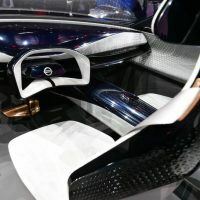 The vehicle also benefits from Nissan’s ProPilot Assist system via the barrage of sensors, radars, and cameras located throughout the vehicle. Nissan’s Invisible-To-Visible (I2T) Technology detects hidden obstacles on the road ahead. Photo: Nissan Motor Co., Ltd. So far, so good. The Nissan IMQ Concept is clearly targeted at a different niche. It’s a hybrid crossover for those who aren’t ready to take the full-EV plunge. Whether all this makes it to production is the million dollar question. 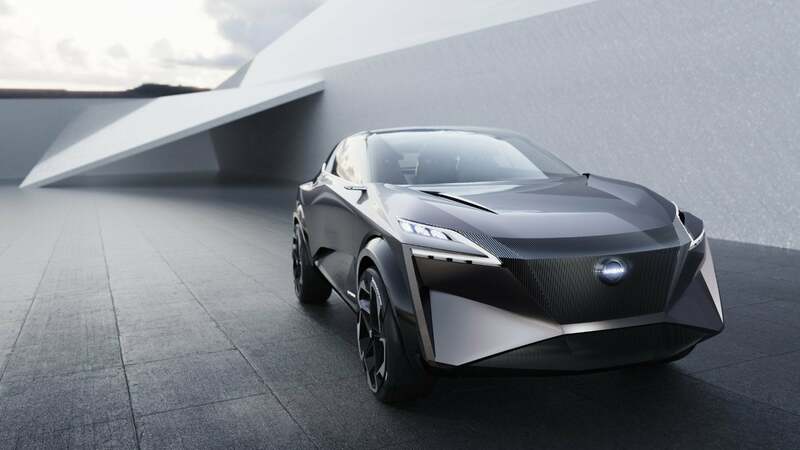 Photos & Source: Nissan Motor Co., Ltd.
No Comments on "Nissan IMQ Concept: The Future of Hybrid Crossovers Is In Good Hands"